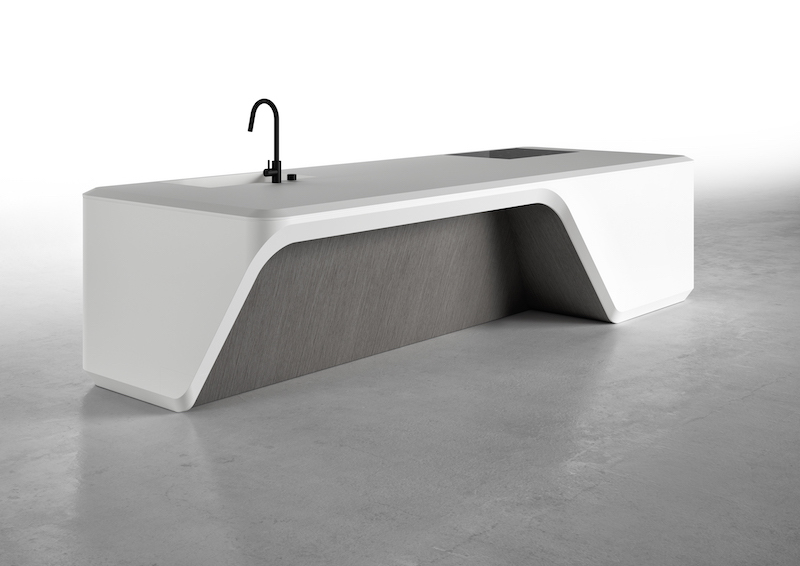 The latest batch of countertops, basins, and faucets come in strong shapes and clean lines. From the mind of Zaha Hadid, this kitchen model is characterized by sinuous and simple forms and uses malleable materials. It is available in two sizes and in various finishes and materials, including natural stone, wood, melamine-coated, and Corian. 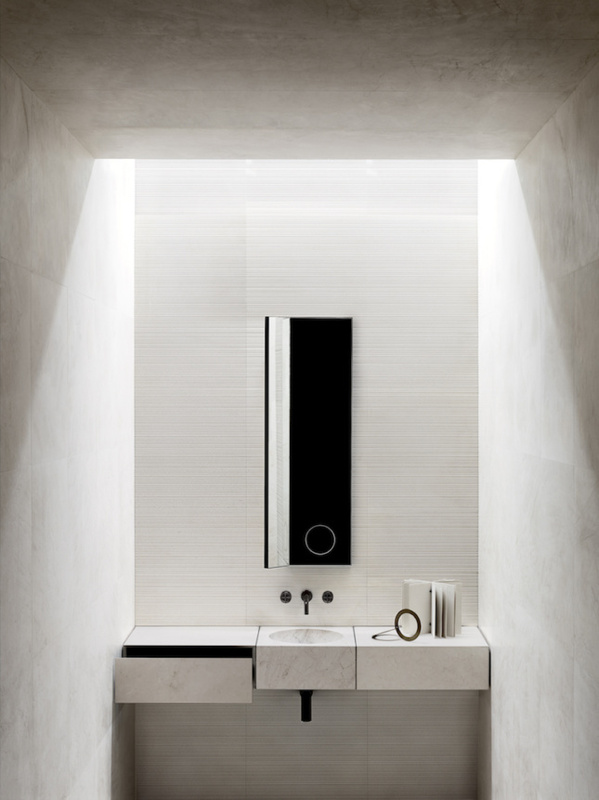 In collaboration with Italian design company Salvatori and reinterpreted by architect and interior designer Elisa Ossino, the Fontane Bianche washbasin is made with a square marble block; the contrasting geometries of circle and square are reinforced by the slim tap. Pescara faucets are available in four styles: Pull-Down Faucet (comes in three sizes), a Deck Mount Pot Filler, Wall Mount Pot Filler, and Prep Faucet. 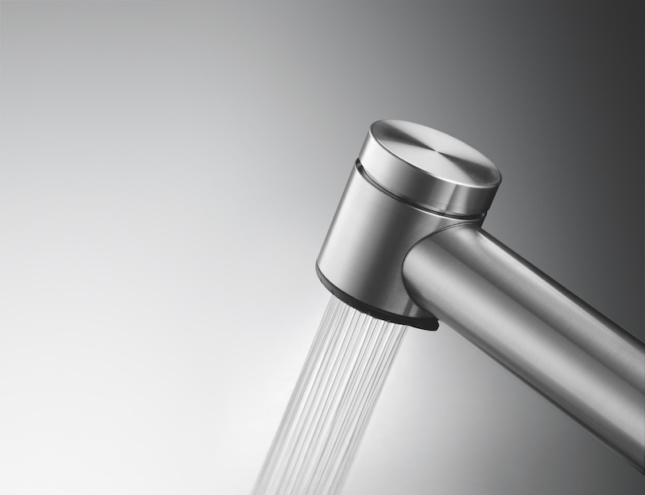 The Pull-Down Faucets feature: a switch that allows for altering between full and needle spray, water-saving flow rates between 1.75 to 2.2 GPM, and three finishes (polished chrome, steel or satin nickel). 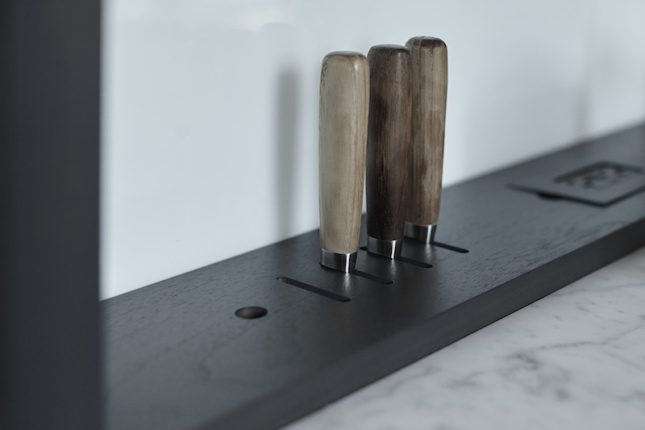 The Vertical Bar Block was developed to bring function to corners and small spaces, zones that often prove challenging in terms of kitchen design. The product includes an integrated electrical outlet, as well as tailored storage for cutting boards, wine bottles, cooking tools, knives, and trays. 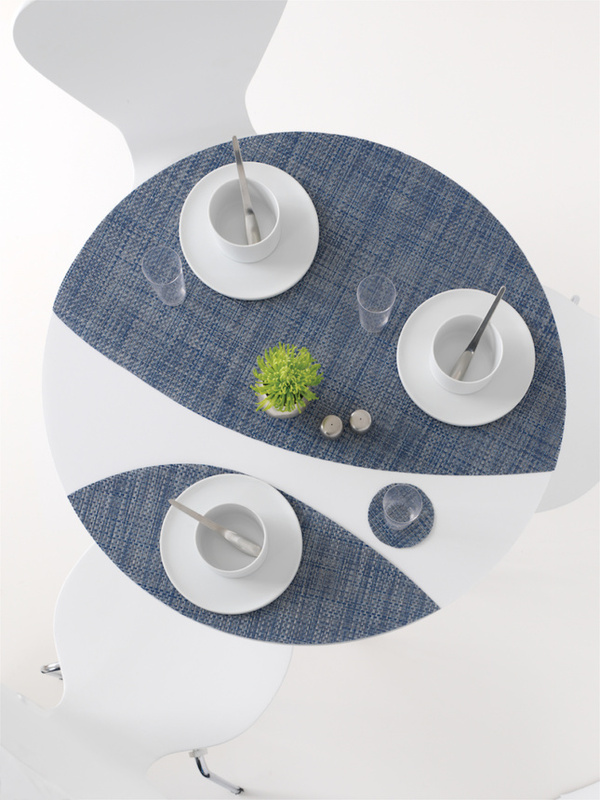 OnEdge placemats are made in Chilewich’s signature Mini Basketweave textile and are available in a varied color palette. 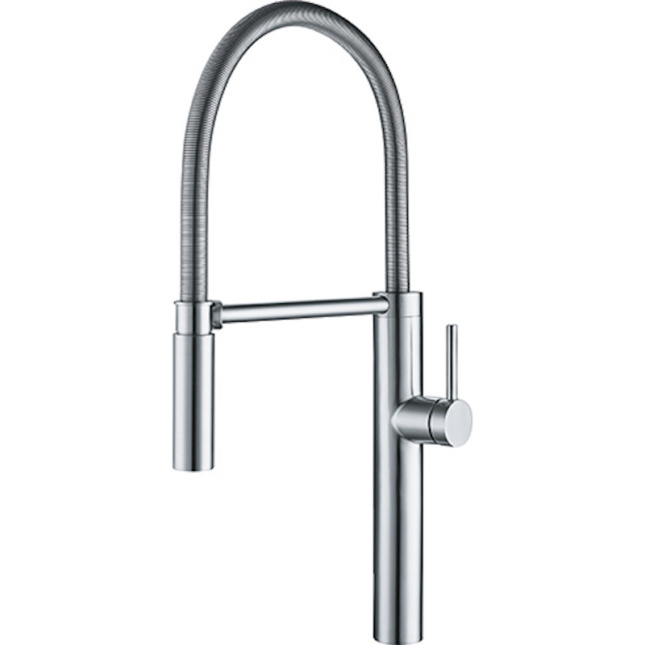 The 15-5/8-inch Pull-Down Faucet features a high-arc single-lever handle (cold water flows when the lever is pulled forward), a pullout spray hose that extends nearly 24 inches, and a swivel range of 360 degrees. 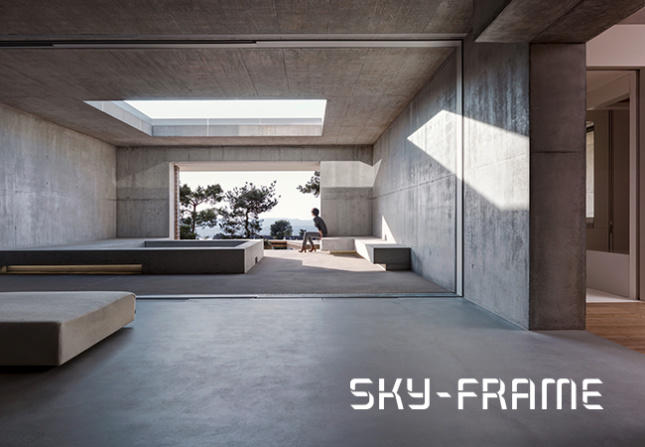 Sky-Frame Sliding Doors | A view, not a window.